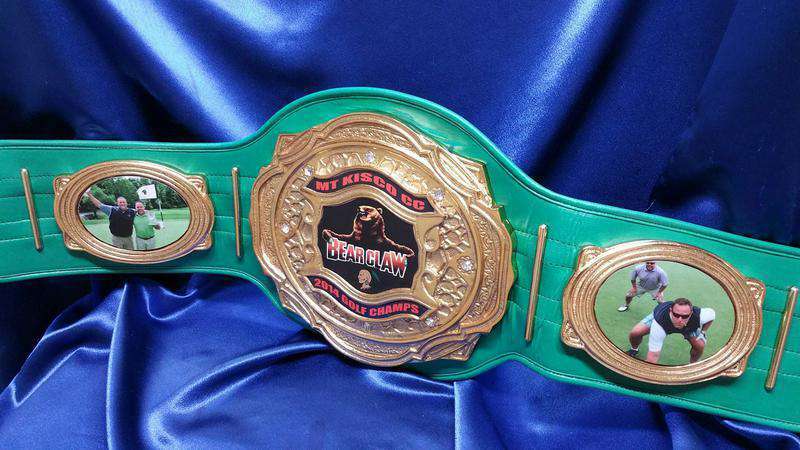 Add a little green to your diet with the green belt version of our exclusive Atlas DC Custom Championship Title Belt designed by the ProAm Belts team. We start by pressing and forming a 4mm metal into a mold that curves the metal edges. This process gives the Atlas DC belt a unique 3D look that simply adds to its already one-of-a-kind look with detail and design. Unlike our competitors, the ProAm Belts team use a synthetic leather strap that is amazing with flexibility and texture. There will be no belt cracking when you wear your custom made Atlas DC Green Championship belt. Contact us for customizing options. We can add any wording and numbers on center and side plates.